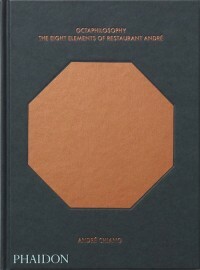 Octaphilosophy: The Eight Elements of Restaurant André is the first English-language book on one of Asia’s leading restaurants, Restaurant André in Singapore, which is included in The World’s 50 Best Restaurants list. 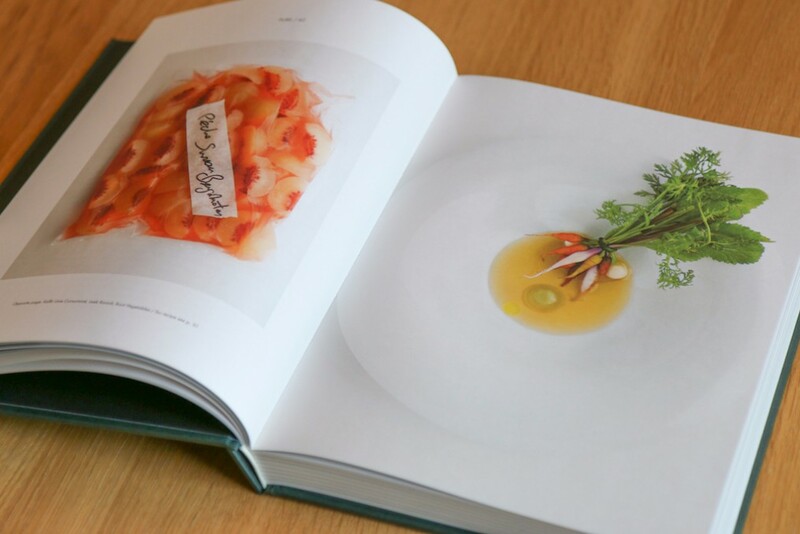 This illustrated monograph of 150 recipes explores chef-owner André Chiang’s creative approach to the fine-dining experience, a concept he calls octaphilosophy. 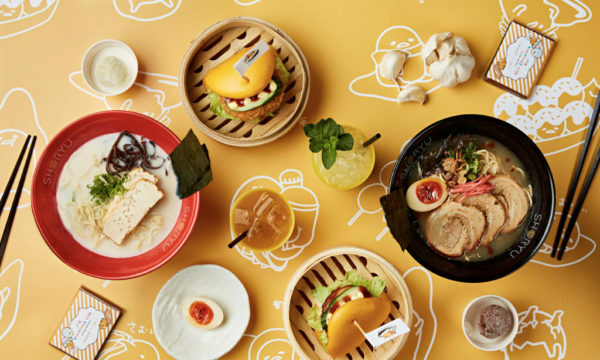 It combines the technical precision of Asian gastronomy with the produce-driven seasonality of French cuisine. Octaphilosophy describes the framework within which Chiang’s daily menu is created. 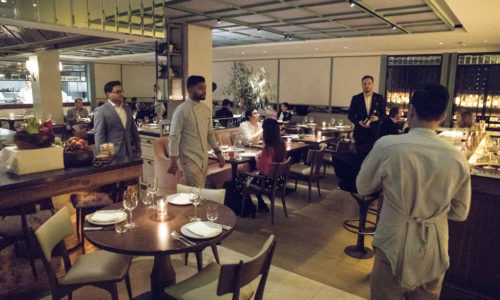 Each dish is built around one of eight subtly interlinked elements – artisan, memory, pure, salt, south, terroir, texture and unique. 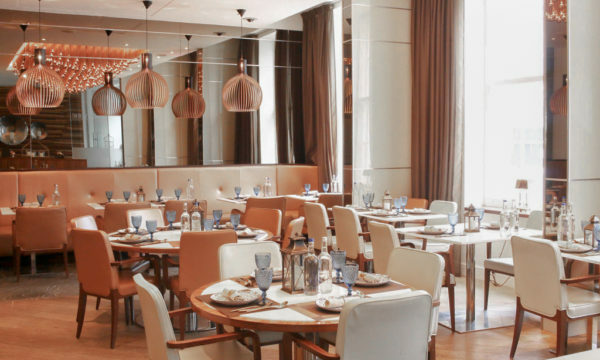 Artisan celebrates the heritage of traditional French food producers. Memory taps into the nostalgia that a perfect dish can evoke. Pure draws out the ingredients’ flavours with minimum intervention of seasoning or cooking. Salt is flavoured by sea brine. South pays tribute to the food and culture of the south of France. 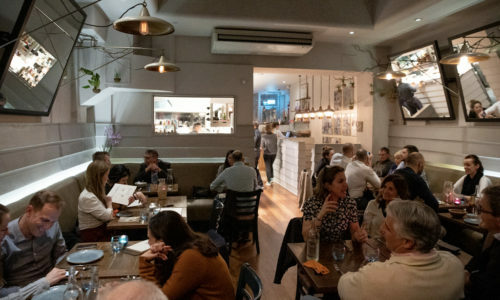 Terroir hails the produce of a specific time and place. Texture refers to the sensory impact of varying layers within a dish. 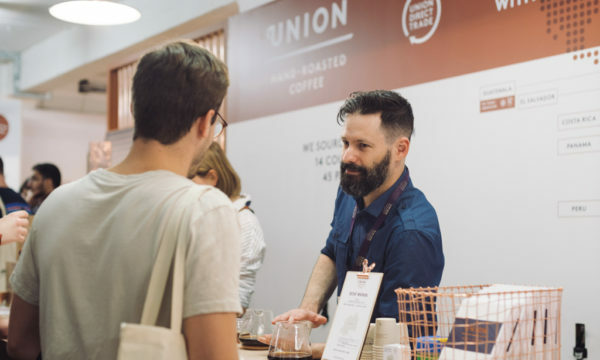 Unique challenges the imagination through unexpected combinations of ingredients. 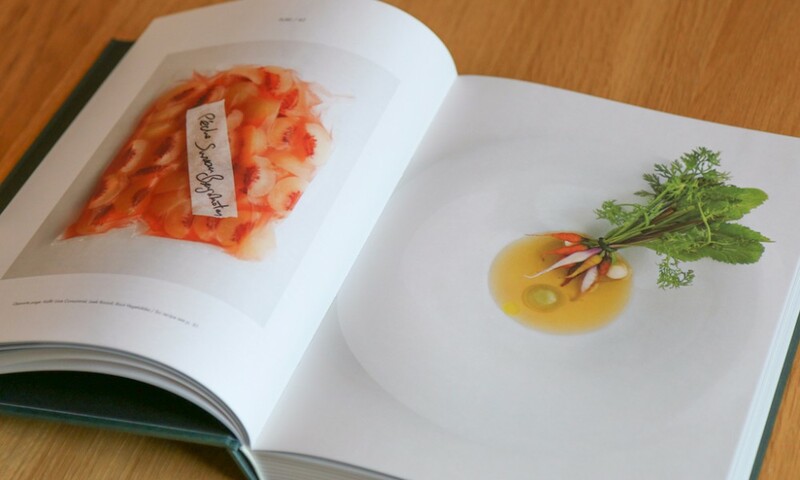 The book takes the reader through a year in the life of Restaurant André, which opened in 2010, with behind-the-scenes photography and explanations about the origin of the dishes. 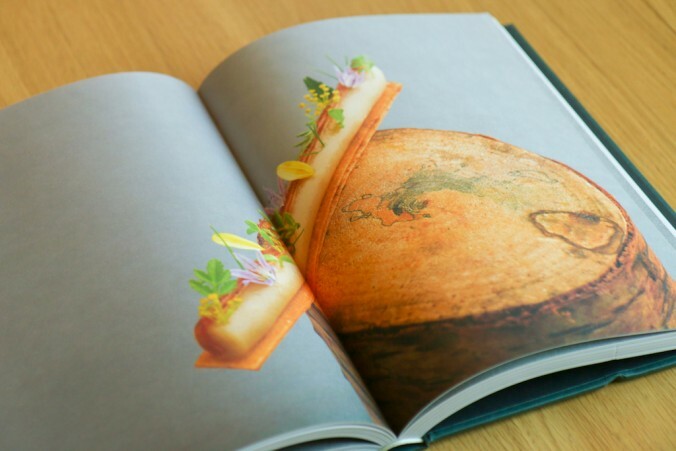 Chiang wanted to bring the idea of a typical French cheese to Restaurant André. The result is Camembert, a signature desert dish of dry-aged milk bavarois accompanied by a hay ice cream. 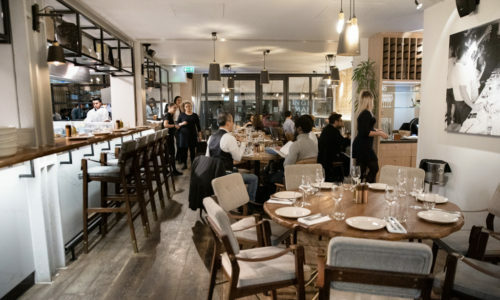 In order to capture the charcoal flavours of a common dish from the South of France – grilled squid and piquillos, or smoked pepper – Chiang created Charcoal – a light dish of chargrilled squid in a piquillos dip with charcoal dough bread. 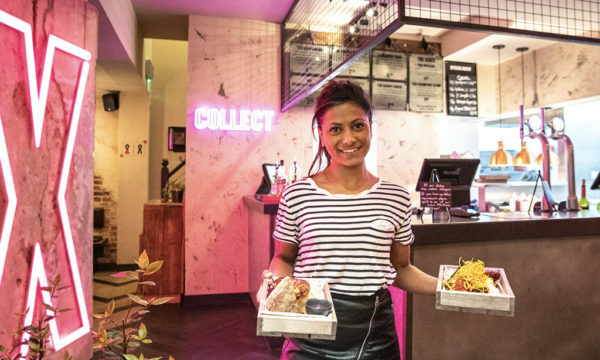 And a section of the book is dedicated to the restaurant’s non-alcoholic, natural and artisanal fermented juices that adhere to Chiang’s octophilosphy. André Chiang (b 1976, Taiwan) moved to the south of France from Japan aged 15 to train under Jacques and Laurent Pourcel at Le Jardin de Sens, one of France’s most respected restaurants, where he later became head chef. 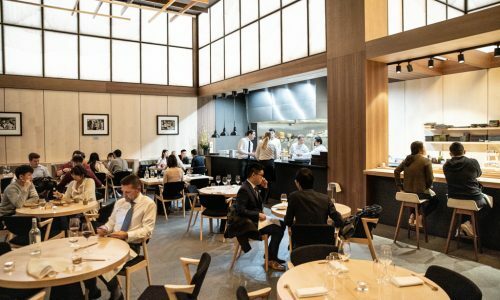 In France, Chiang also worked under other top chefs including Pascal Barbot, Pierre Gagnaire, Joël Robuchon and Michel Troisgros. 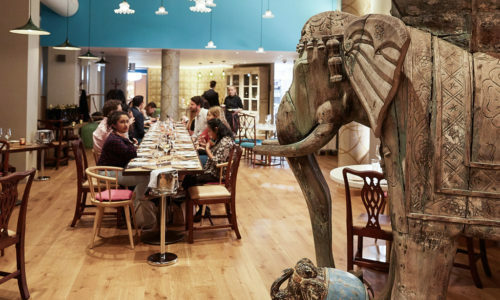 Multi-lingual Chiang is also a sculptor and ceramicist and his creations are part of the restaurant’s décor and service. 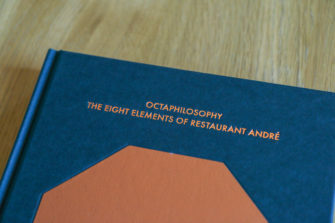 Octaphilosophy: The Eight Elements of Restaurant André was written in conjunction with Lotta Jorgenson of Fool magazine with a foreword by Jacques and Laurent Pourcel and photography by Edmond Ho. It follows Chiang’s autobiography Original Intentions, which sold over 200,000 copies in China and Taiwan. Chiang is coming to London on 22nd June to present his book at Lyle’s where he’ll cook for one-night only with chef James Lowe. 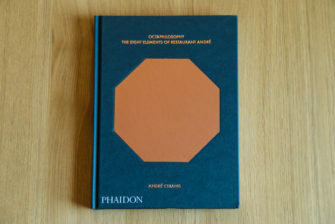 André Chiang will be at Lyle’s for the Guest Series on Wednesday 22nd June 2016, signing copies of his new book Octaphilosophy: The Eight Elements of Restaurant André, which was released on 27th April 2016 by Phaidon.